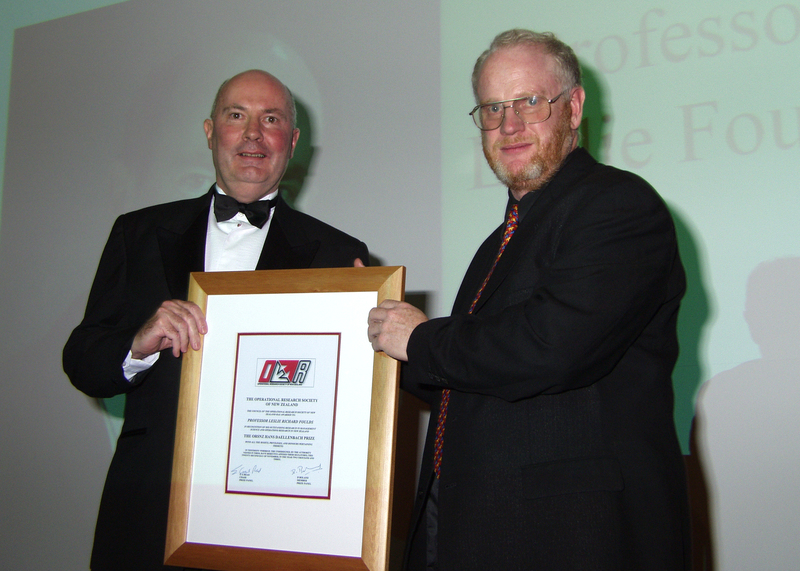 In 2013 the first President’s Lifetime Achievement Award was presented to Prof David Ryan. 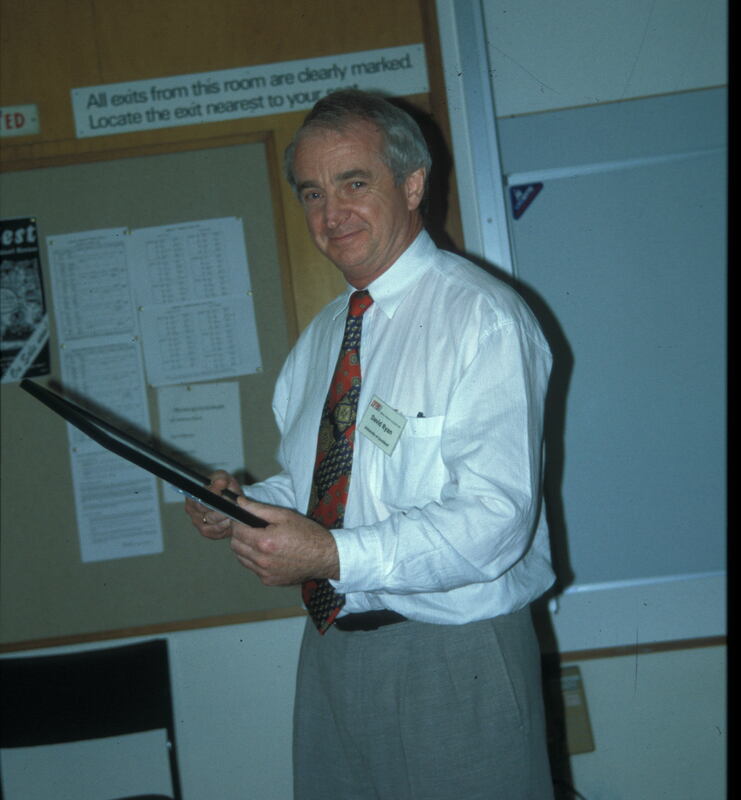 The President’s Lifetime Achievement Award is in recognition of contributions made throughout the recipient’s career to both the ORSNZ and Operations Research in New Zealand and internationally. 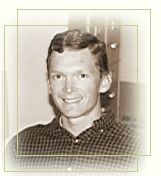 You can read more about Hans in the March 1999 Newsletter, and peruse one of his articles in the Jan 1996 Newsletter. 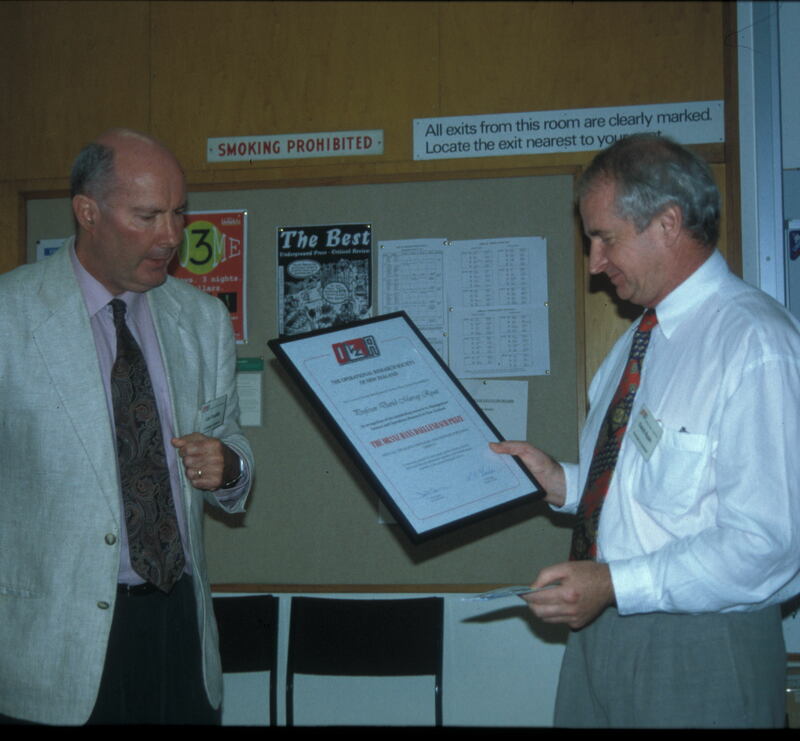 University of Auckland Article…Read about David’s airline work (OR/MS Today, April 2000)View photos 1 2 3 4 5 6 7 8 of the presentation. View photos 1 2 of the presentation. the ORSNZ ceremony and talk. 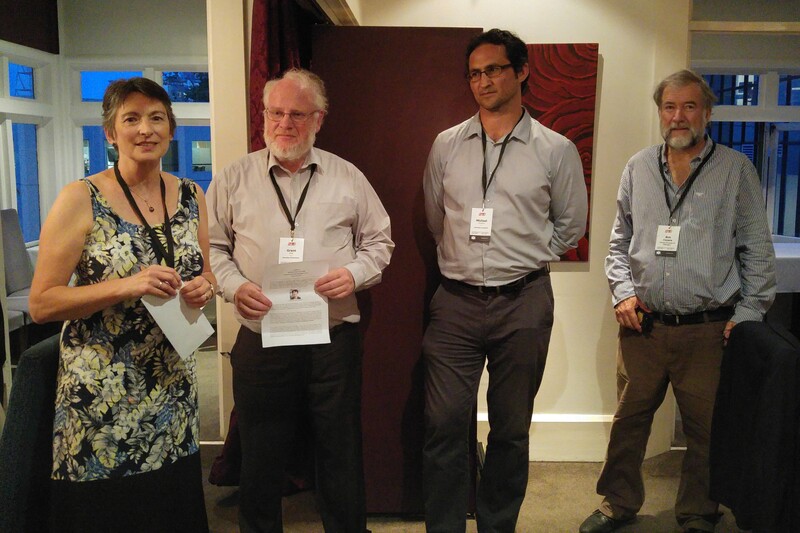 Call for Nominations: The ORSNZ invites nominations for ORSNZ honorary visiting lecturers to visit New Zealand between September and June each year. 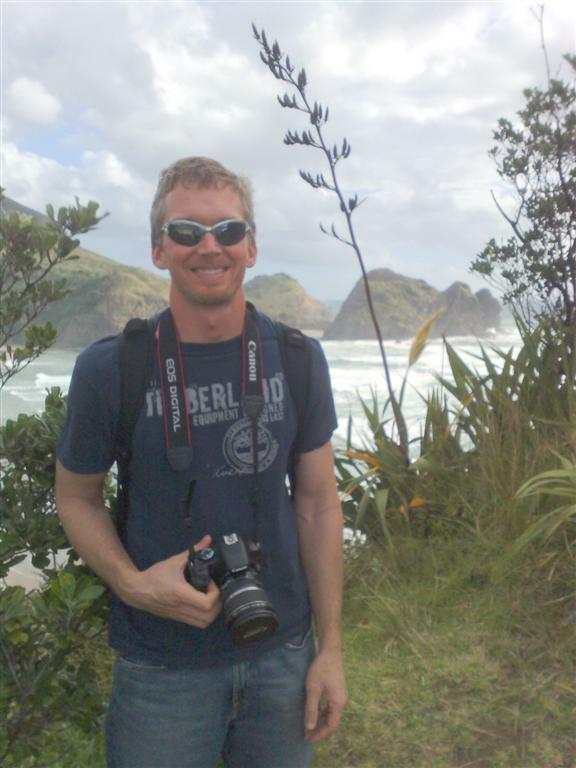 Each visiting lecturer is invited to give a talk on some topic likely to be of general interest to ORSNZ members at three or more of Auckland, Hamilton, Wellington, and Christchurch. 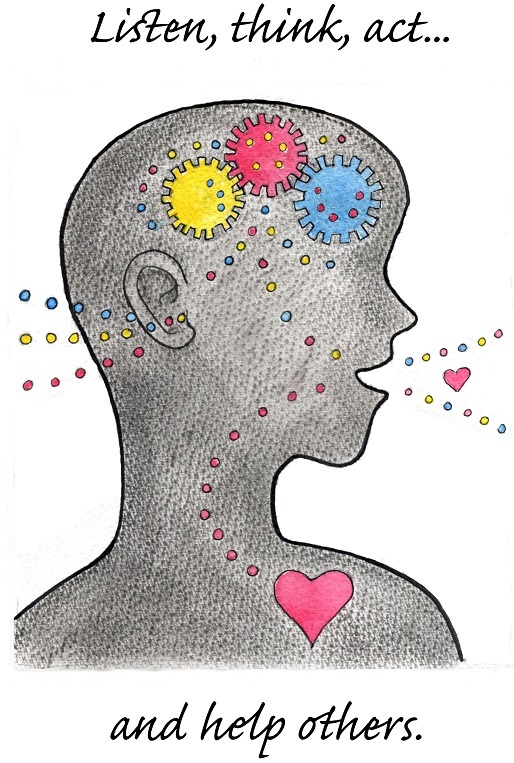 Each visiting lecturer will be invited to write a guest editorial for the society newsletter. The ORSNZ contributes to the costs up to a maximum of $1000 plus GST (if any) per visitor. 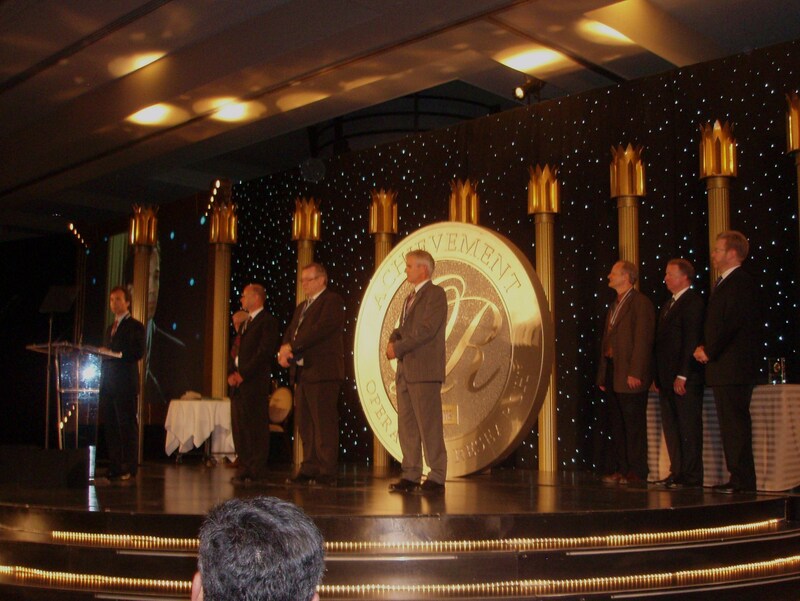 Each candidate must be nominated by a current member of ORSNZ, “the champion”. The nomination must include the CV of the nominated visiting lecturer, the date and location of the hosts of the visit, the name of the champion and an undertaking by the champion to coordinate a visit by the nominee to three or more of the above named centres. Enquiries concerning, or nominations for, lectureships should be sent to [email protected]… The closing date for nominations is the end of April. Once nominations have been received, the President will consult Council before forming a subcommittee to review the nominations. The subcommittee is to determine the options that are to be presented to Council. Multiple visiting lecturers in any one year are permissible if the circumstances permit. 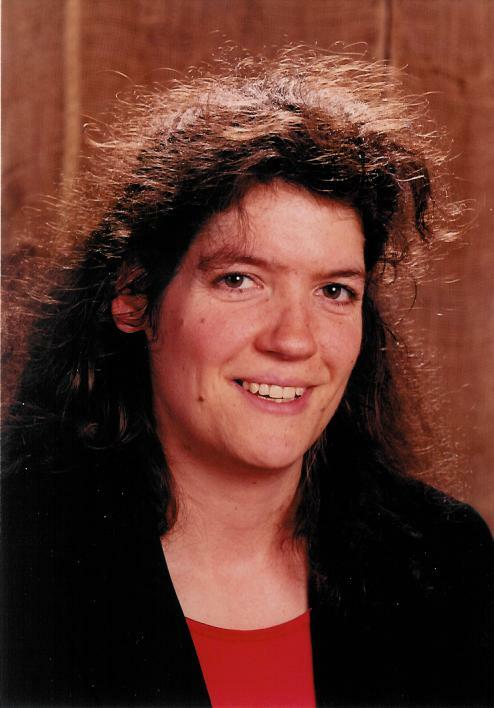 Prof Anita Schobel is Professor of Optimization at the University of Gottingen, working in optimization and OpPPS. 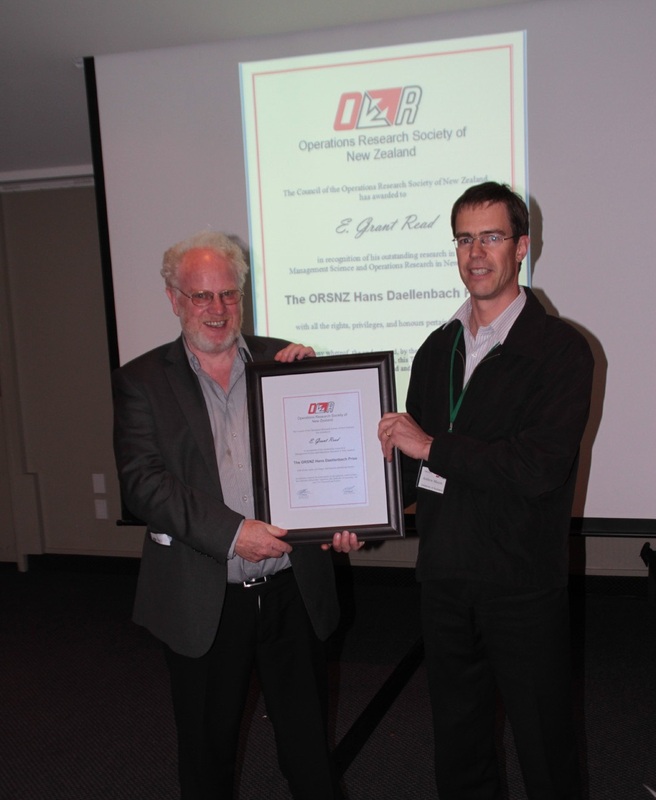 Prof Schobel gave a plenary address at the 2008 ORSNZ Conference. Associate Professor Ted Ralphs from Lehigh University is actively involved in the Open Source COIN-OR project as the author and developer of the Symphony optimisation package. He is currently developing CHivel Programming. 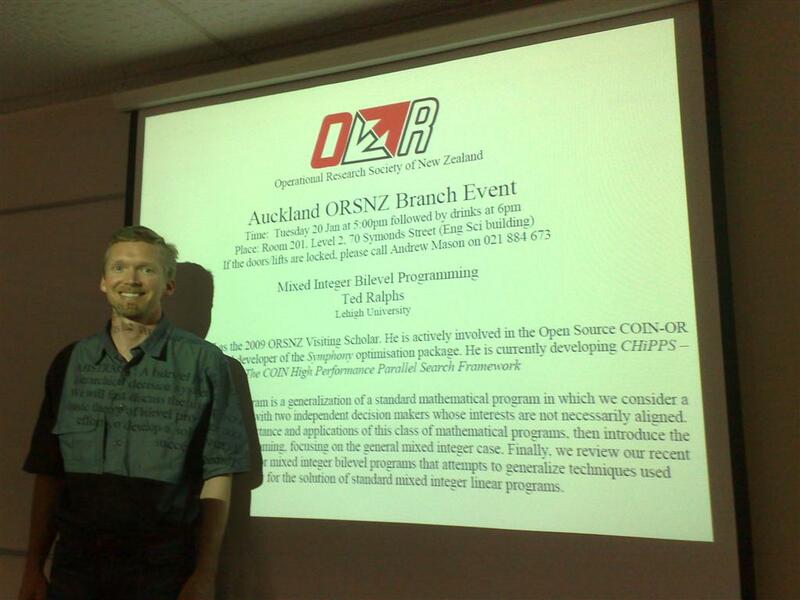 Photos: exploring Auckland 1, 2, 3, and presenting in Auckland in January 2009. 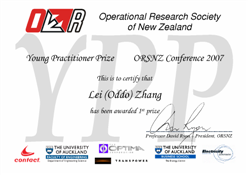 The Young Practitioner Prize (YPP) is open to all presenters at the annual ORSNZ conference who are within 5 years of graduation on the first day of presentations at the conference. YPP entrants must clearly identify themselves to the conference organisers by any deadline specified in the call for papers or on the conference website, when submitting their abstract and their paper, and when registering. YPP entrants will present their work in a talk of typically 15 to 20 minutes duration, with approximately 5 minutes for questions. (The exact figures are determined by the conference organizer to fit the conference schedule.) The presentation length will be strictly enforced. YPP entrants must submit a paper to the conference organisers that meets the requirements for inclusion in the conference proceedings. Except in exceptional circumstances, this paper will be published in the proceedings. 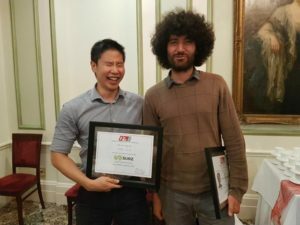 Supervisors of YPP entrants are normally expected to appear as an author if they have contributed to the ideas or implementation described in the paper. Supervisors may not take part in the presentation of the work. whether they are an industrial practitioner, or a PhD, Masters, or undergraduate student, and the time that they allocated to the project (e.g. 1/8th of an academic year, or 2 years of a PhD program, or 5 years working in industry). This completed signed form should be brought to the conference and submitted during registration. This cover sheet is to be signed by the YPP entrant’s academic or commercial supervisor(s) (or the entrant themselves if no such supervisor exists). 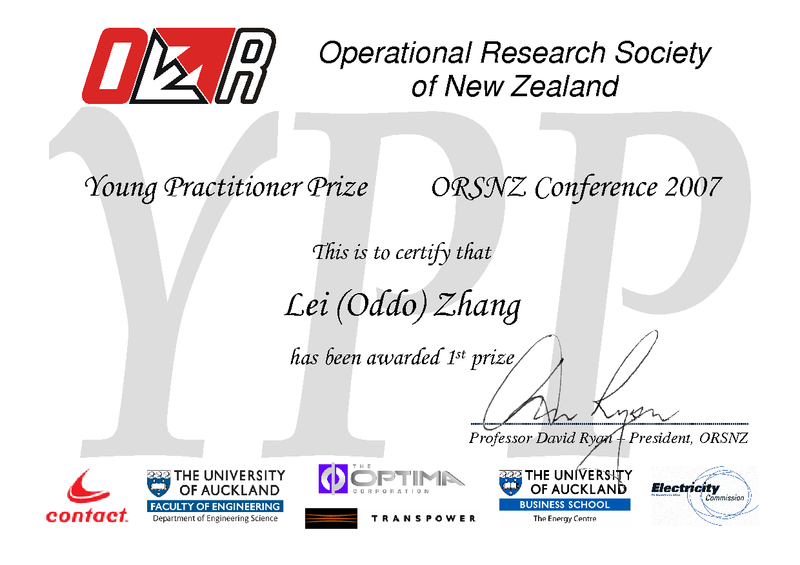 The ORSNZ will award up to four YPP prizes at each conference from a total prize pool of up to $1000 for the judges to distribute between winners as they see fit. Not all prizes will be awarded if there are insufficient entrants of a satisfactory standard. The judges will take into consideration the quality of both the entry’s written paper and their oral presentation. Guidelines that will be used to assess entries include originality, initiative taken, difficulty of topic, the amount of time allocated to the project, and a broader recognition of the context of the project such as the assumptions made, limitations, alternative views, innovation, potential application, and future work. Typically three prizes of values $500, $300 and $200 have been awarded. Multiple prizes have been awarded to the same person over several years. 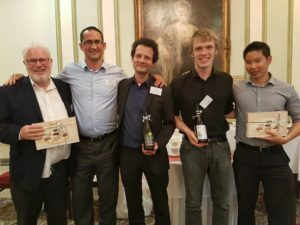 In 2006, the judging committee explicitly distinguished entries by PhD students and industrial practitioners from entries by Masters/Honours and undergraduate students. Additional details for the format of the paper for 2018’s conference can be found here. These rules were updated 2012.09.19 by Andrew Mason with minor additions and corrections, and noting that supervisors will normally be included as an author, as agreed at the 2012 AGM. The previous 2007 rules were confirmed by the Council Meeting of February 2007 (Minutes), with additional notes on duration added by Andrew Mason following Council meeting of Nov 2007. The requirement for a supervisor’s signature was removed on 12/11/2012, and a note added asking students to bring the completed form to the conference and submit it. 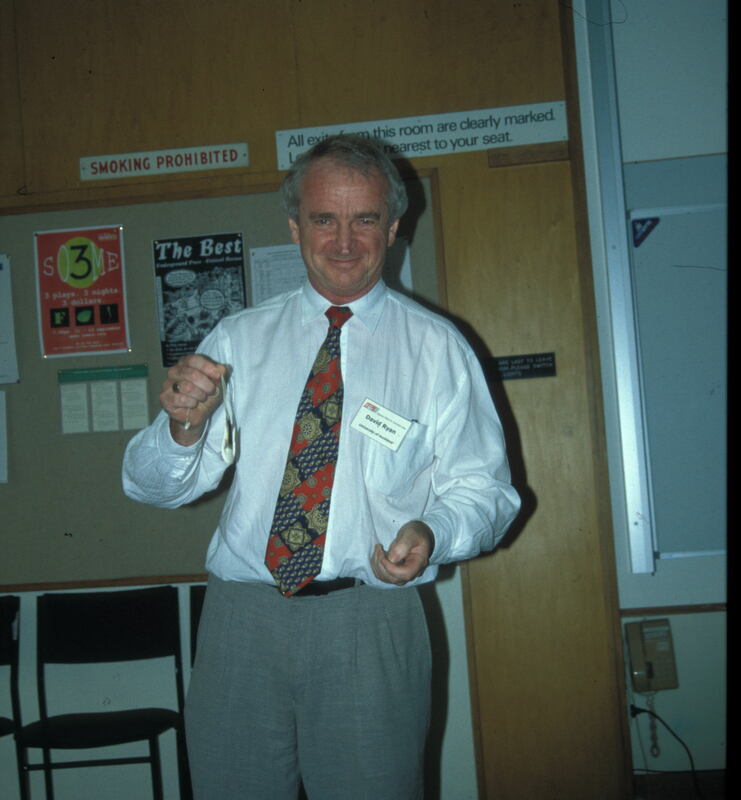 1995 (Victoria) Kevin Broad Auckland James Deaker Auckland Kelvin WatsonMassey? Notes: Papers authored by two or more Young Practitioners were first formally permitted in 2005; previous entries had (generally) been single authored. In 2005, the maximum permitted age was increased from 25 to 30 effective for 2006 onwards. This prize is awarded annually for the best application of OR for improving lives. 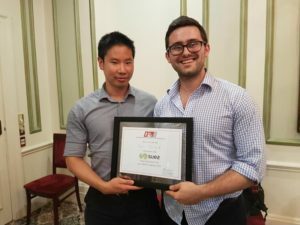 The Energy and Resources Prize and the Transportation Prize are both open to all presenters at the ORSNZ conference who are under 30 years of age on the first day of presentations at the conference. Eligible entrants are those who have submitted a paper to the conference organizers that meets the requirements for inclusion in the conference proceedings. In the case that the paper has multiple authors, all authors must be under 30 years of age on the first day of presentations at the conference. (Any number of the authors may partake in the presentation.) 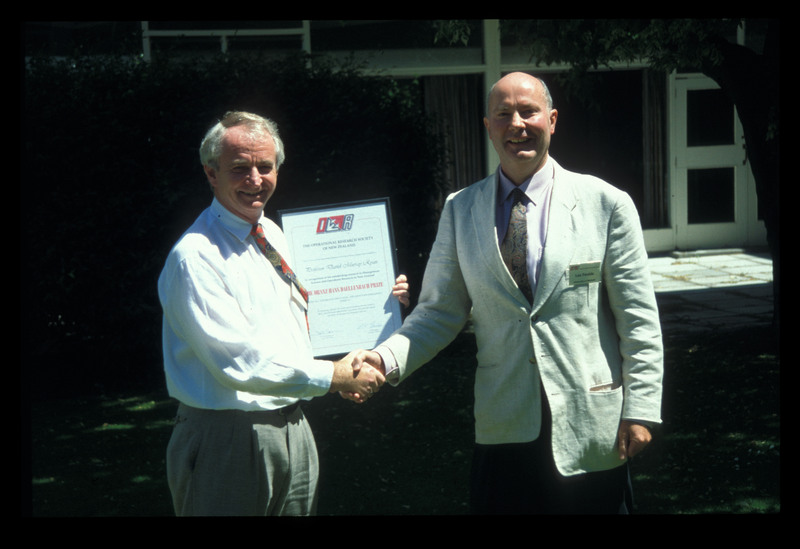 In the case of joint authorship, the award is to all the authors as opposed to an individual. 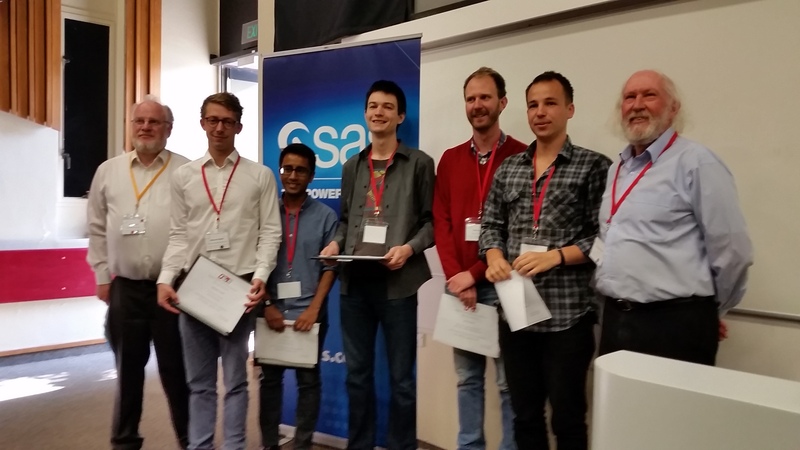 The University of Auckland Energy Centre will award up to 1 prize in each of the Energy and Resource as well as Transportation categories at each conference from a total prize pool of up to $1000 for the judges to distribute between winners as they see fit. Not all prizes need be awarded if there are insufficient entrants of a satisfactory standard. The judges will take into consideration the quality of both the entry’s written paper and their oral presentation. Guidelines that will be used to assess entries include originality, initiative taken, difficulty of topic, the level of the project (e.g. developed as a masters vs PhD work) and a broader recognition of the context of the project such as the assumptions made, limitations, alternative views, innovation, potential application, and future work. These prizes were first offered in 2010. 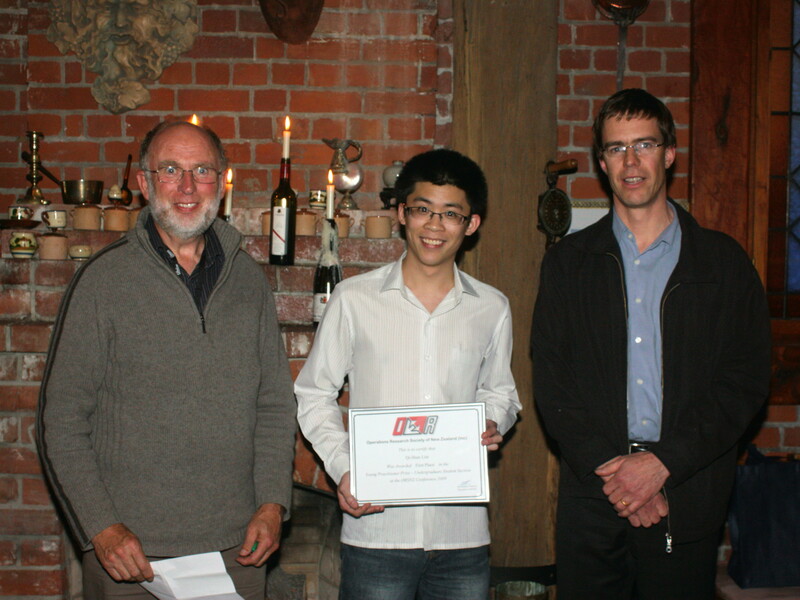 The ORSNZ student project prize was based upon a written report submitted by a student to the prize organisers. This prize was discontinued in 1993. 1990 1st ? ? ? Can you fill in missing details? If so, please contact Andrew Mason. 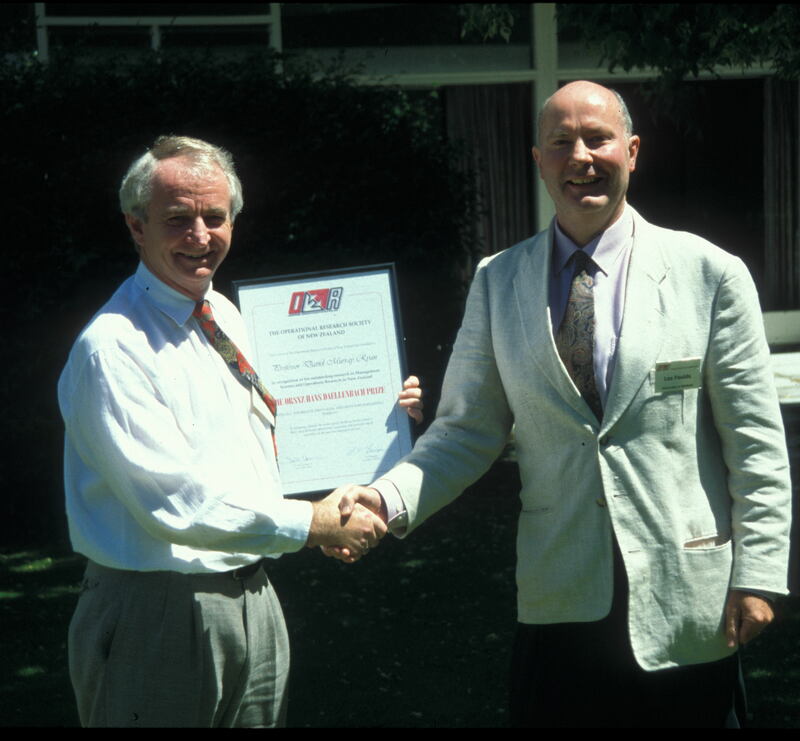 12 November 2007: Institute for Operations Research and the Management Sciences (INFORMS) Fellowship for Professor David Ryan Professor David Ryan has become the second person in the southern hemisphere to be inducted as a Fellow of the Institute for Operations Research and the Management Sciences (INFORMS). INFORMS is the world’s largest professional organisation in Operations Research. 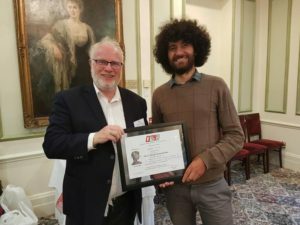 It has awarded a total of 249 Fellowships, but only 12 of those, including Professor Ryan’s, have gone to people outside of the United States. 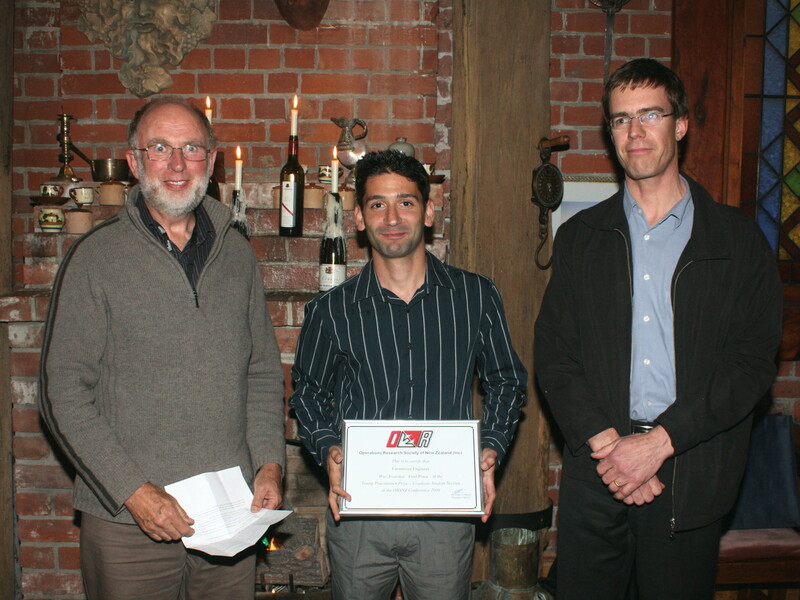 Professor Ryan received his award at a ceremony during the INFORMS Annual Meeting in Seattle last Monday, 5 November. The Fellow Award is reserved for distinguished individuals who have demonstrated outstanding and exceptional accomplishments and experience in operations research and the management sciences. 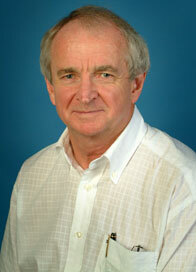 Professor Ryan is Deputy Dean of the Faculty of Engineering and a Professor in the Department of Engineering Science. 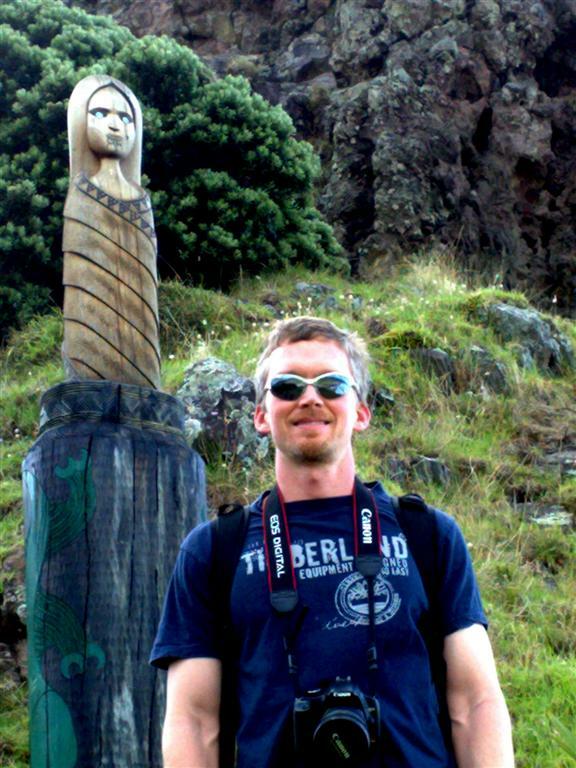 A leading authority on Operations Research in New Zealand, his research is concerned with mathematical programming and optimization theory, in particular scheduling, timetabling and combinatorial optimization problems. Professor Ryan was evaluated on the quality of his research, practice, management, education and service before receiving the INFORMS award. 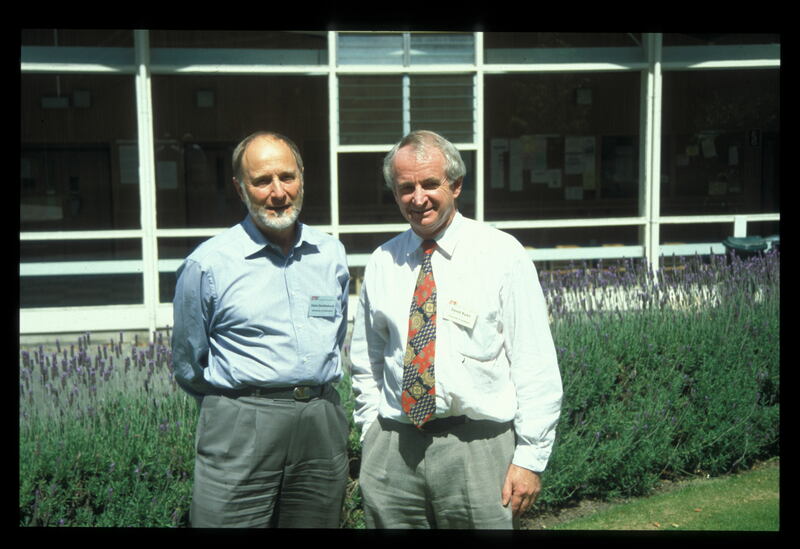 He is also a Fellow of the Royal Society of New Zealand (2003). 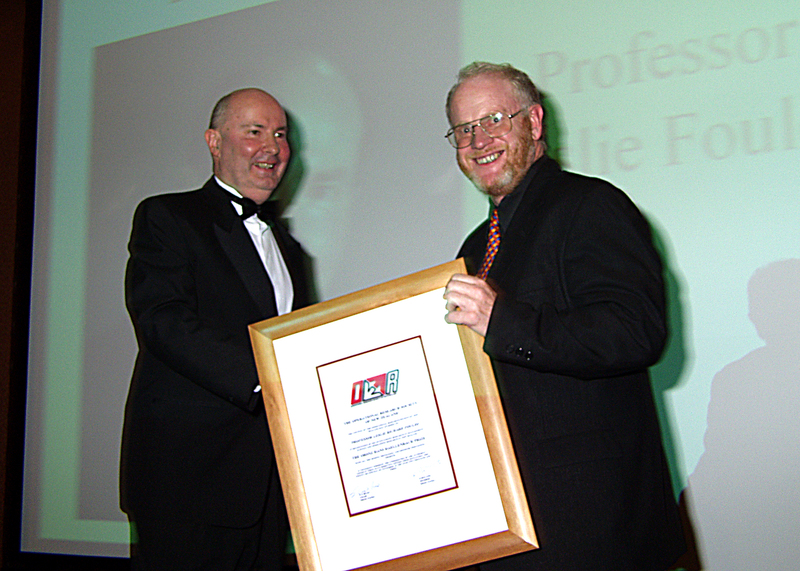 INFORMS Teaching Award 2003: In 2003, David was awarded the INFORMS Prize for the Teaching or OR/MS pracitioners. See “Ryan Educates, Inspires OR/MS Practioners” (local copy), OR/MS Today August 2003. 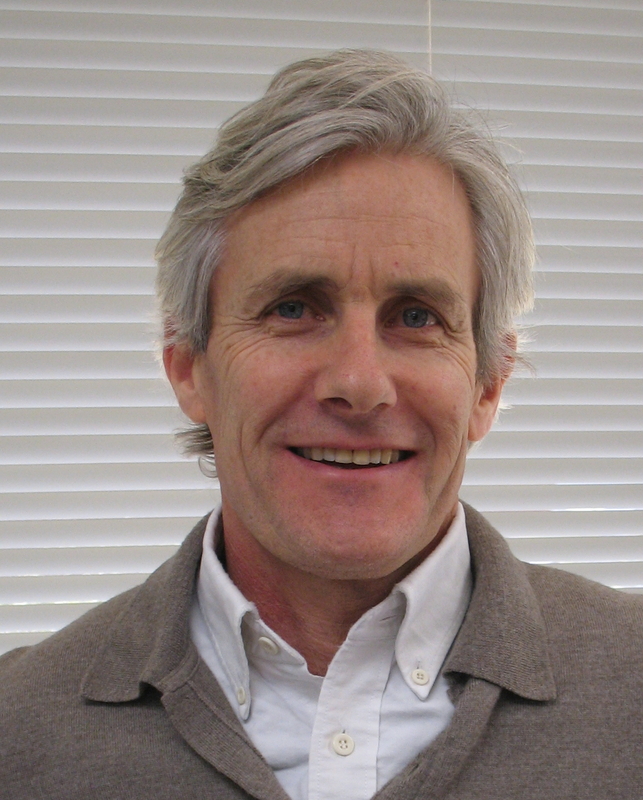 On behalf of the members, the Operational Research Society of NZ wishes to congratulate long-standing society member Michael Saunders on being elected an Honorary Fellow of the Royal Society of NZ.Michael Saunders, a Research Professor in the Department of Management Science and Engineering at Stanford University, is a world expert in the development of mathematical optimisation software, for solving decision problems in large interconnected systems.Professor Saunders began his work in this field while working for the DSIR in the 1970s, producing (in joint work with fellow New Zealander Bruce Murtagh) the MINOS system, which is now one of the best known optimisation packages worldwide, used by economists, engineers, physicists, and operations researchers. 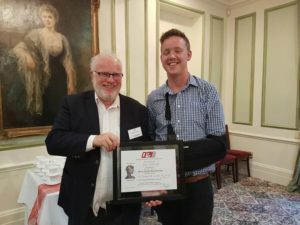 In more recent years he has developed a collection of optimisation tools (NPSOL, SNOPT, QPOPT, LSSOL) tailored to solve problems having certain structural features, with wide application in the engineering and aerospace communities. In particular, NPSOL is a key ingredient in the mesh-fitting routines used by the Auckland Bioengineering Institute, and in the optimising yacht velocity prediction program used by Team New Zealand in the successful 1995 America’s Cup challenge.He is a member of the International Scientific Advisory Board of the New Zealand Institute of Mathematics and its Applications, and is a leading supporter of the Operational Research Society of New Zealand, and a mentor for its members. 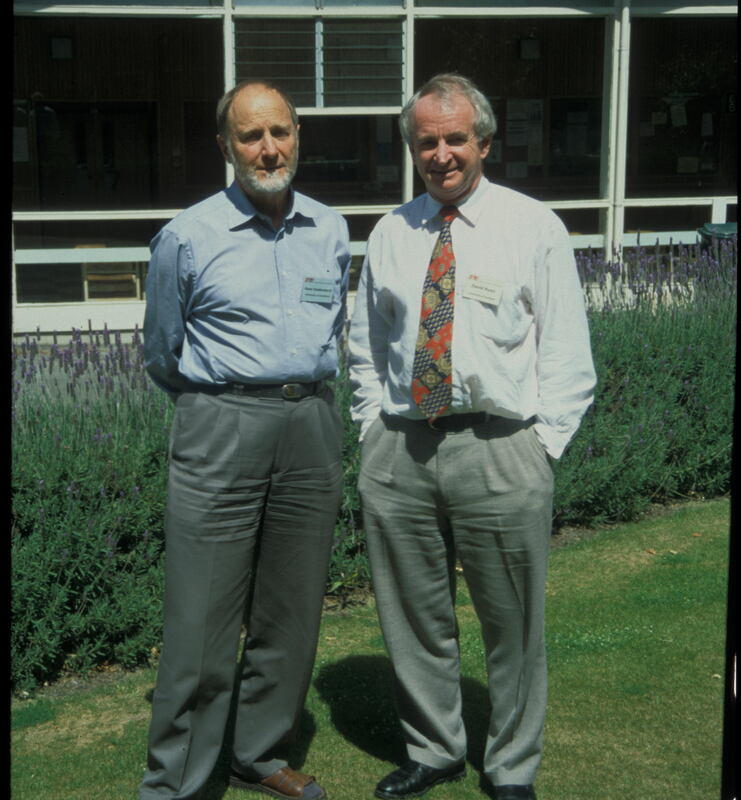 His published work is very highly cited, and in 1985 he was awarded the inaugural Beale-Orchard Hays prize by the Mathematical Programming Society for his contributions to computational optimisation. 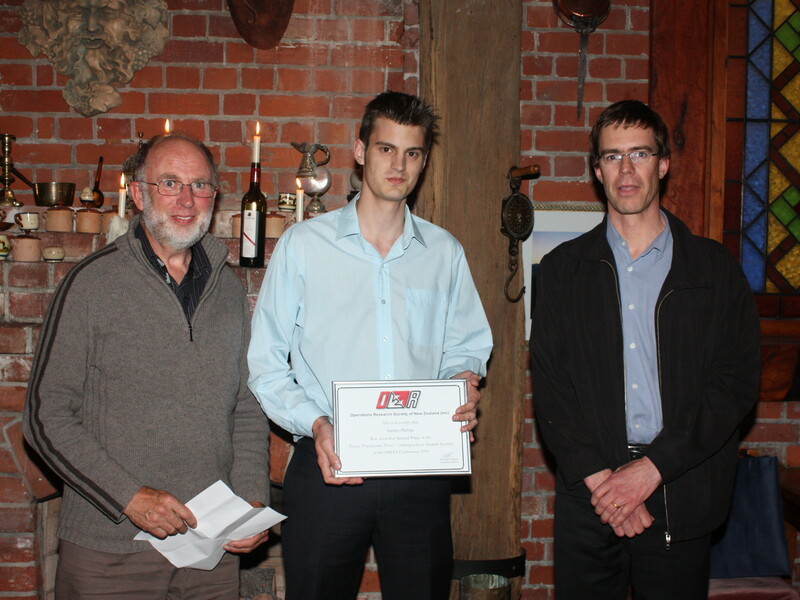 ORSNZ members Andy Philpott (University of Auckland) and Graeme Everett (Norske Skog) were Finalists in the 2009 INFORMS Franz Edelman competition. 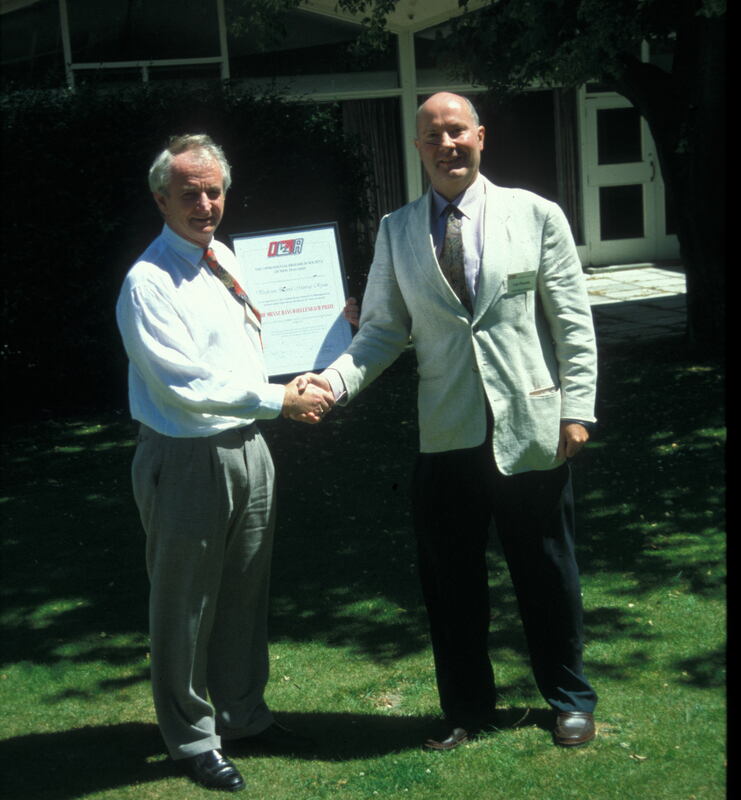 (The competition was won by Hewlett Packard. )Official INFORMS photos can be found at http://www.scienceofbetter.org/Edelman. 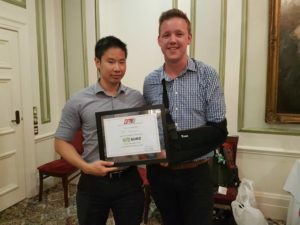 You can also view photos of the INFORMS meeting taken by members of the Norske Skog team, and visit the Flickr photo page.This work was written up in the New York based BusinessWeek magazine; view the article. 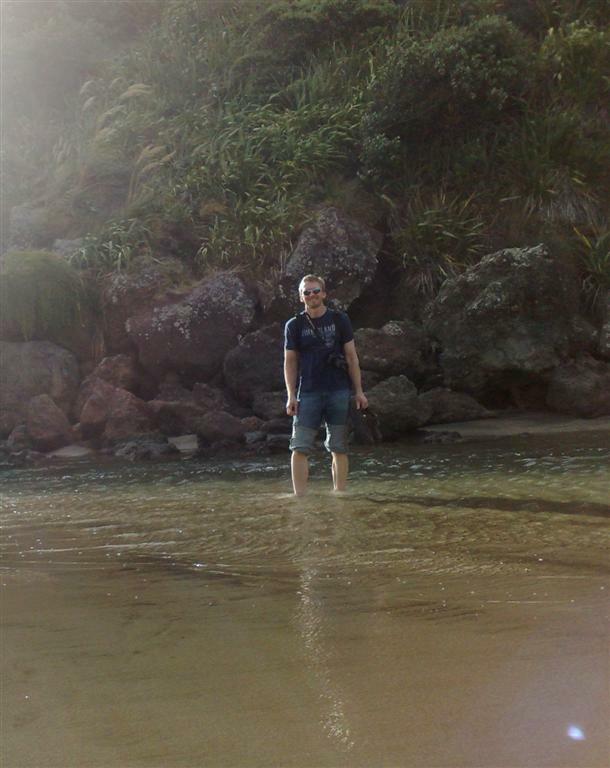 Andy spoke on Radio NZ’s 9-noon slot on Monday 11 May; listen again in MP3 or OGG format. Andy was also interviewed on TVNZ’s Morning TV program on Wednesday 13 May (TVNZ Screenshot) with the byline:”A couple of Kiwi maths experts have won plaudits in the international business media with its model to better pin point loss making parts of businesses. Mathematician Professor Andy Philpott explains.” View Flash Video.